\One of the most famous of all horror novels, and indeed horror figures, is that of Frankenstein. Or rather, in the case of the figure itself, Frankenstein’s Monster. Mary Shelley’s book is one that has stood the test of time, like Dracula and so many others, and still finds its place on the shelves of libraries and shops and homes the world over. A tale of man trying to bridge the gap between science and the impossible and in doing so, bringing terror to the world. 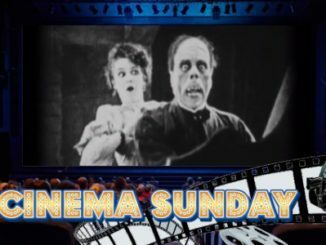 As with Dracula, the good fortune of Frankenstein becoming the Universal Studio’s classic it is today, was thanks to Carl Laemmle Jr. 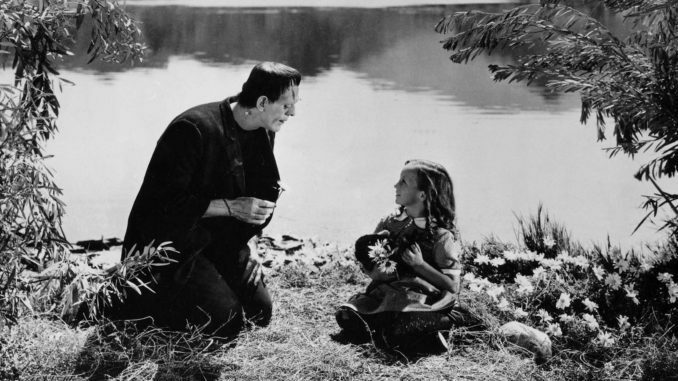 But its success as the legend it is today, is because of two men: director James Whale and actor Boris Karloff, whose performance as the Monster is still celebrated to this day. 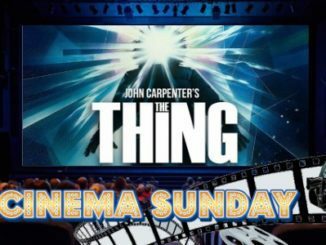 Helmed by James Whale, this was another triumph of the horror genre, and would be the first foray into horror work for the director. Along with his later works The Invisible Man and The Bride of Frankenstein, James Whale’s name is synonymous with horror movies, even though he himself would later try to distance himself from such works. It is interesting to note that Whale was brought over from England by the Laemmles to work on the project and given a completely free hand in bringing it to life. The story and vision spoke to him, and because of the freedom afforded him, he changed the script and conceptualization as to what it is now remembered. There is not much to truly say about Boris Karloff and his role as the Frankenstein Monster. Indeed, it may be so that not having much to say is a good thing, for the work speaks for itself. The costume is a thing of wonder though. Bulky, taking quite a lot of time and work to get him into plus the makeup. Not to mention the shoes, 4-inch platform boots weighing in at 11 pounds each. A monument of Hollywood movie magic and human achievement on the part of Boris to perform the role in such conditions. It is saddening to say that, so far, no such documentary as this reviewer has been able to find, exists about the movie, in either production or history. However, there are numerous documentaries about Mary Shelley and her famous work. This one in particular, focuses a bit on the impact of the book upon Hollywood itself, and should provide some interesting information for fans of the horror genre. 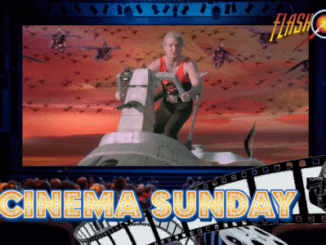 All of the Cinema Sunday pieces always pay attention to what is said regarding critics. And critics seemed to love James Whale’s Frankenstein completely. The Hollywood Reporter penned a simply glowing review at the time, as this excerpt clearly shows. 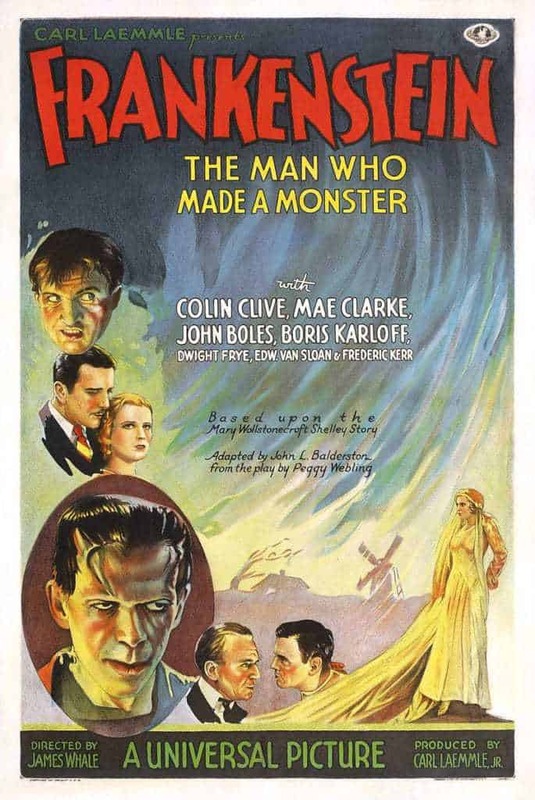 Colin Clive as the doctor and Boris Karloff as the monster give tremendous performances. No matter what you think of the picture, you can take nothing from these players for the performances they have turned in. They are magnificent. James Whale has done a great job in his direction. This is not an easy thing to direct — just how far to go in playing upon an audience’s credulity, it’s sympathy, it’s nerves. Whale seems to have gone far enough, but not too far. The chances are the director will win the good opinion of the critics for this job. The adaptation to the screen of such a story was obviously a task of extreme difficulty, and it speaks volumes for the ability of Garrett Fort and Francis Edwards Faragoh that they were able to turn out such a finished piece of work as is this screen play. John Boles, Mae Clark and Frederick Kerr give good performances in insignificant parts. The balance of the cast is adequate. As a story Frankenstein dates back to 1831 — for one hundred years it has remained alive in the interest of those book readers who go in for ghost stories. Now we’ll see if these same people go to motion picture theatres. Likewise, New York Times film critic Mordaunt Hall heaped a mountain of his own praises. Out of John L. Balderston’s stage conception of the Mary Shelley classic, “Frankenstein,” James Whale, producer of “Journey’s End” as a play and as a film, has wrought a stirring grand-guignol type of picture, one that aroused so much excitement at the Mayfair yesterday that many in the audience laughed to cover their true feelings.It is an artistically conceived work in which Colin Clive, the Captain Stanhope of the London stage production of the R. C. Sherriff play, was brought from England to act the rôle of Frankenstein, the man who fashions a monster that walks and thinks. It is naturally a morbid, gruesome affair, but it is something to keep the spectator awake, for during its most spine-chilling periods it exacts attention. Perhaps to this day, alongside Dracula, The Mummy, and other such movie fright figures, stands tall the form of Frankenstein’s Monster. Created by Mary Shelley, envisioned by James Whale, brought to life by Boris Karloff. All these people across the ages, gave forth a towering figure that shall remain immortal to us all. If anyone should have any need for a story of science run amok, where a thing is crafted that should have never been and ought to never be, then look no further to 1931 and the film that is perhaps seminal to that year. Frankenstein.